This post will try to show you how to play games on Chromecast from Android devices. 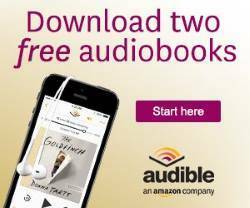 The procedure is similar to that from iOS devices. What are the requirements to play games on Chromecast from Android? A ready-to-cast Chromecast. Both the first generation and the latest Chromecast are OK. Of course, it is not for Chromecast Audio. An Android device with Android Jelly Bean 4.1 or later. The Android device is connected to the same network as Chromecast. Latest Chromecast app on your Android device. Chromecast-enabled games. It is up to individual game developers to enable Chromecast support or not. You may check the list (not exhaustive) of Chromecast-enabled games here. Patience. Both the concept and implementation are new. Feedback to game developers if you find problems or have some suggestions for improvement. What are the differences between playing games on Chromecast from Android device and Android screen cast? As you may already know, you can use Android screen cast to mirror your display and audio to the TV through Chromecast. So, some Chromecast owners actually play games through Chromecast and enjoy the graphics and audio on the TV with Android screen cast (screen mirroring). When you play games on Chromecast from Android device, the display and audio are NOT simply mirrored to TV through Chromecast. For most games, the TV and your Android device are playing different roles now. For example, in some games (e.g., Angry Bird), your Android device becomes the game controller. TV will show the graphics and play the audio. In some multiple-user games, your Android device will show you secret weapons and your cards and other users cannot see it. The main graphics are shown on the TV. This is sometimes referred as split-screen view. Only Chromecast-enabled games (cast-ready games) can be played on Chromecast from Android devices. For Android screen mirroring, everything can be mirrored, including DRMed contents. For Chromecast-enabled games, playing games on Chromecast from Android device is apparently using less resources than screen mirroring (and playing the game). So, if the game is cast-ready and you want to enjoy it on a big screen, playing it on Chromecast from Android device usually gives better experience than Android screen mirroring. Of course, for games that do not support Chromecast, you have no option but to use screen cast if you want to enjoy it on the TV. To play games on Chromecast from Android devices, you may follow these steps. Step 1: Make sure Chromecast is ready. For new Chromecast devices, you need finish the initial setup before you can use it. You may follow this guide to setup Chromecast. Step 2: Launch the games on your Android device as usual. 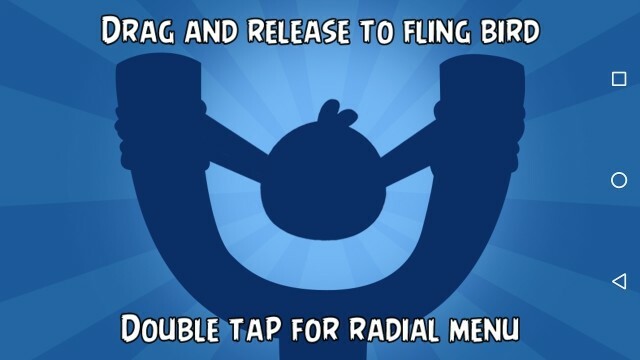 In this guide, Angry Bird Friends will be used for demonstration. For Chromecast-enabled apps (cast-ready), you can find the cast icon, usually in the start page as shown below. Chromecast is not detected. Make sure your mobile device is connected to the same router. You are probably using a very old version of game. You may try to update the game. If this happens to you, open Chromecast app on the mobile device and make sure you can find the Chromecast device under Devices tab. 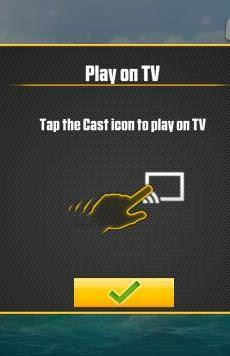 After tapping cast icon, you will be asked to select an available Chromecast to play the game on. Tap the Chromecast name to select it as shown above. The game will be cast to the TV now. Now you can play games on Chromecast through your mobile device. Step 5: Enjoy games on the big screen. on the TV, the game is shown. on the mobile device screen, the display depends on individual game. For Angry Bird Friends, you select levels and other settings on the mobile device. But when it is ready to play, your Android phone now becomes the game controller as shown above. Please note, it is up to game developer to decide how to use the two screens. So, different games may give totally different experiences. For multi-player games, individual mobile devices are uaully used to show your secret weapons/cards. Can you play games on Chromecast from mobile devices? If you have any comments or questions on play games on Chromecast from mobile devices (Android and iOS), please let us know in the comment box below. HI, its possible to play for example Guitar Hero for ipad via chromecast 2 ? Like Game on TV and play on guitar ? Nope. Only Android games are supported on Chromecast. Also, this depends on app developers (who enable this feature). If you are referring to screen casting, you also need an Android device.